With the beautiful weather we are having in Central Florida, this is some awesome time to be out on the water. Stand Up Paddle boarding on the flat-water of the Indian River Lagoon this time of year is some of the most perfect weather. The air temperatures are in the high seventies and the winds are less than ten miles an hour. We’ve had some great days these last two weeks as we’ve taken our guest out on the water to follow wind protected mangrove lined channels. With the water temperatures now hovering around sixty-nine degrees, most of the manatee have moved to warmer water, but now our daily visitors are the dolphin pods. If you have the opportunity to come out and join us over the holiday, you are some of the lucky folks who get to enjoy great weather and beautiful scenery. 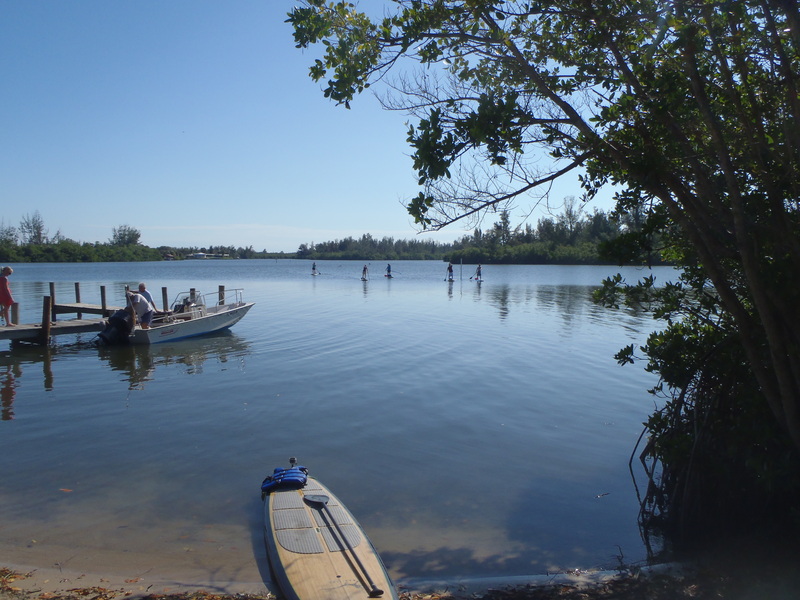 SUP Eco Adventures is still running tours over the holidays and still sharing the beautiful area around Melbourne Beach, Cocoa Beach and Vero Beach with our guest. Our current launch site is great area south of Melbourne Beach, but still only minutes from Cocoa Beach. We work hard to ensure you get the best experience possible, and with these amazing weather patterns, stand up paddle boarding is the sport of choice. It’s great exercise if you’re looking for a way to get out and see the world while taking part in a low impact sport. Or if you are looking to just relax as you experience an new and amazing adventure, contact www.supecoadventures.com to book you stand up paddle board adventure. Merry Christmas to all our guests, we’ve truly enjoyed meeting each and every one of you and hope to see you all again soon. This entry was posted on December 25, 2011. It was filed under SUP Blog.